No more lingering to gather maximum loot. In its latest update, PUBG has tweaked gameplay to make it faster paced, more tactical and more violent. 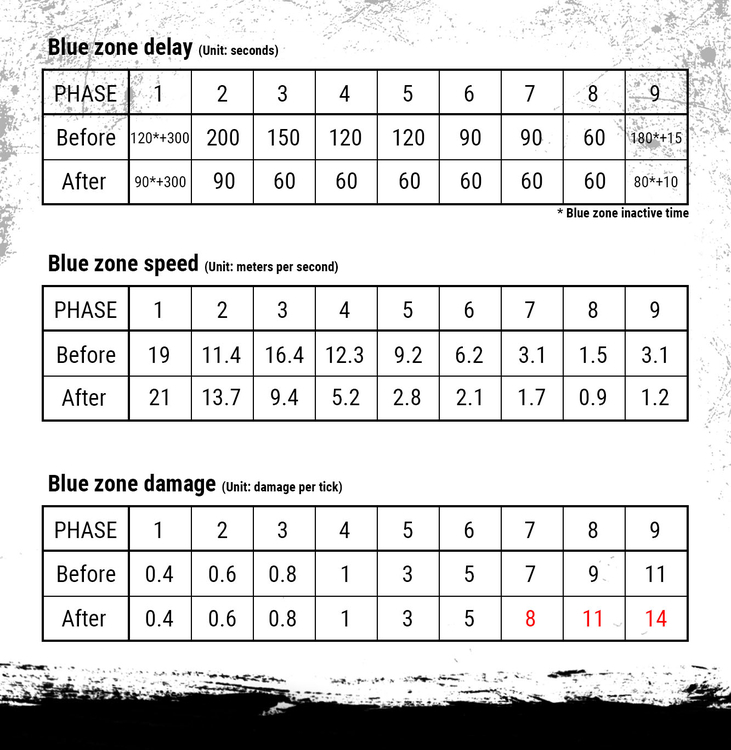 The main tweak to PC 1.0 Update 10 is timing in the "Blue Zone," a shrinking death region that forces players together as they die off. As many requested, it will contract at a faster speed early in the game, reducing the ability of players to linger and gather loot. At the same time, speeds later on have been slowed, with damage ramped up in the final stages. The aim, it would seem, is to curtail passive play, a strategy that basically involves hiding and trying to keep your health up -- if several players are left at the end, the one with the most health wins. It will also force players to plan more carefully so that they're in good strategic positions through the climactic finishing zones. PUBG has also adjusted settings so that safe zones favors land rather than water, reducing the chances that players will be stranded on islands at the end. The final blue zone will narrow to the center of the map, rather than a random spot, and inactive time has been halved. Again, all of that should make for more fevered climactic battles. PUBG's latest update has also added three new areas for more gameplay variety and shows safe zones on the original Erangel and later Miramar maps. Finally, clothing items are no longer available as loot, so you have to get them the old-fashioned way -- via in-game purchases or by slaying another player. If you find that still doesn't make PUBG intense or violent enough, the company recently unleashed its new Codename Savage map onto test servers. It's the smallest yet at just 4 x 4 km (2.5 x 2.5 miles) and throws you straight into the fighting from the get-go -- a style that has drawn comparisons to Fortnite.